Halloween is Wednesday! Not to be cliche, well actually yes it is, I decided to give you guys some creepy techniques that I thought about today. 1. 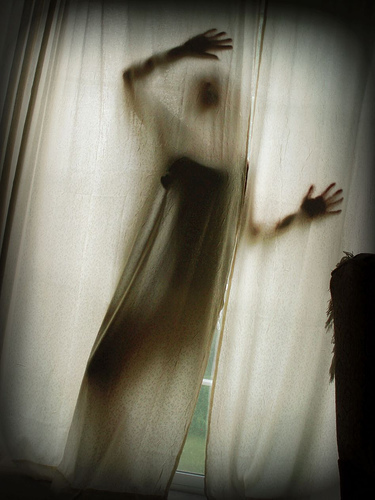 Silhouette – Silhouettes can be beautiful but also super creepy. Try using a shower curtain, light colored sheets with a bottom lit light, plastic, or any type of material that has the possibility to distort shape or form. This is probably my favorite type just because it’s so simple to set up and compose. Think “Psycho”. I’d try this with a high speed film pushed to 1600 or 3200. Black and white works best because the contrast will show up a lot better. You want a fine grain, so I’d go with what I always use which is Tri-X 400 (pushed to 1600 or 3200). 2. 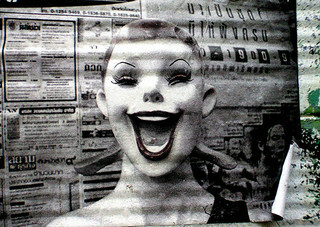 Clowns – We all have been afraid of, or at least a little creeped out by clowns. Try using a mask and juxtaposing it against something decrepit and decayed; think the movie “It” or use an clown figure. Combined with low lighting, red lighting or high contrast lighting the clown is sure to illicit everything but laughs. 3. 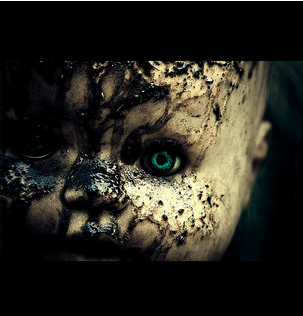 Baby Dolls – Baby dolls are one of the scariest objects to inhabit the Earth. When I was younger, my mom always tried to get me to play with the sinister things but since they scared the bejesus out of me, I decided to hide them all under the bed. Not such a great idea in hindsight, especially when something falls through the cracks and ends up under the bed and you have to retrieve it. Regardless of being still moderately afraid of them, they do make for awesome photo props. The more dirty and decrepit, the better. 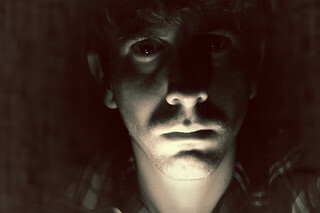 4.Low Lighting – Low lighting, no matter what your subject is, will make anything look creepy. Low lighting has the power to distort and make your subject look harsh, just the type of characteristics nightmares are made of. Try attempting this in color or black and white. Either one has the ability to come off as scary. If you’re feeling super bold, try using infafred; a film with red undertones. Now we have all of these ideas! Maybe you can even combine them? Well, the obvious next question is, “What type of film camera works best?” Honestly, I would recommend anything. I’d use my Canon AE-1. It’s the film that matters. For low lighting, try Kodak Portra 800 for color shots and T-Max or Tri-X for black and white. I always recommend Kodak Portra 400 for indoors and outdoors as well, keep in mind you can always correct anything in post processing once they have been scanned. ← Film Sizes; What’s the Difference?